Why a tour with Vintage Rides? 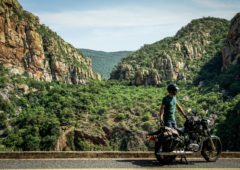 Whether you're a serious adventurer or a more relaxed kind of biker, you can choose the motorcycle trip customised to your level and the type of experience you are looking for. From the Himalayas to Mongolia, from a rugged raid to a smooth cruise - there's an itinerary to suit every taste. Share the experience you are looking for with our travel experts, and they'll find the package for you! Sustained routes designed for riders eager for strong sensations and to stretch their limits. Motorbike trips that reconcile discovering authentic Asia, the pleasure of riding, and encounters with local people. 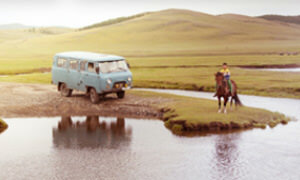 An enjoyable, relaxing break with a partner or friends, right in the heart of mythical Asia. A bit of biking, and lots of silky-soft living. 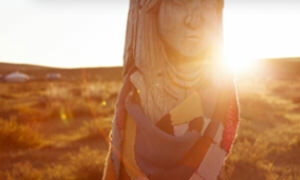 A totally self-sufficient road trip adventure ! 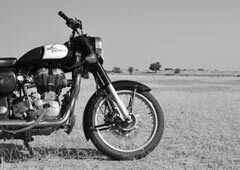 A Royal Enfield, an electronic roadbook, a mobile phone - and freedom's yours! Three packages - every possibility! it's all possible. You choose what suits you best! For each tour, there are fixed-date departures. Groups consist of 12 bikers max, passengers included. If no fixed date suits you, and you prefer to tour with your bunch of biker friends, this is the package you need. Freedom is yours! Want to travel alone or in a small group, without a tour leader? Of course! 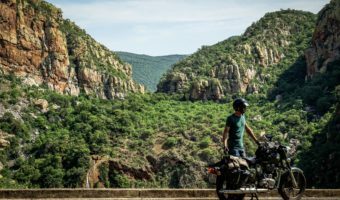 Want to personalise your motorcycle tour? Every year, the Vintage Riders community gets bigger. Thanks for sharing your passion for motorbike travel! In France and Asia, our team of keen bikers will help you design your motorcycle tour. 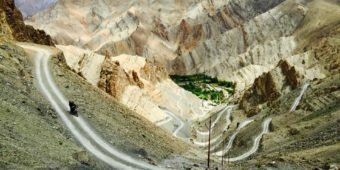 He travelled around the globe and crossed the US on a Harley before settling in Delhi to do what he does best - talk about motorbike trips in Asia. Our roaming biker is still just as eager to scour the road network to unearth sublime routes and share his stories. If our easternmost tour leader is not in Ulan Bator, then he's sure to be blazing a trail across the steppe. Delhi-based for more than two years, he's our longest-serving expert. Buzzing with energy, he'll convey to you his knowledge of - and passion for - the Himalaya. Curious and versatile, he makes the most of his holidays to discover roads he's never travelled - on a Royal Enfield, naturally! Thirsty for adventure? 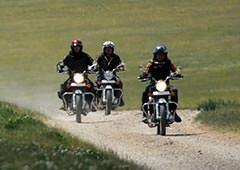 Vintage Rides provides an extraordinary experience, thanks to a motorcycle tour in India, in Asia or elsewhere. 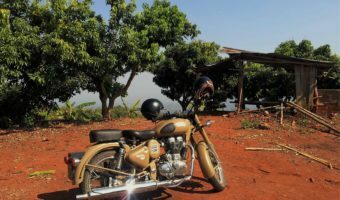 Our concept is simple: on a Royal Enfield, you will discover new exotic places, far away from the big touristic trails. 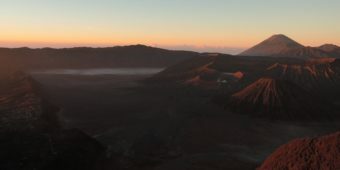 Travelling off the beaten path will undoubtedly provide new experiences and unforgettable panoramas. One thing is certain: you’ll return home with plenty of long lasting memories! From India to South East Asia, we offer exotic and genuine itineraries. Our motorcycle tours will enable you to discover preserved nature: Mongolian steppes, Himalayan summits, Golden Triangle mountains… Our goal: to make you dream! As true travel buffs, our teams constantly reinvent new circuits to make you discover the hidden beauty of these regions. Thanks to your Royal Enfield, you easily reach the more isolated villages and meet the locals. As a popular means of transport, your motorbike enables you to create a real authentic connection by starting conversations. In the company of others riders, you experience the camaraderie of bikers. You will live a true human adventure! 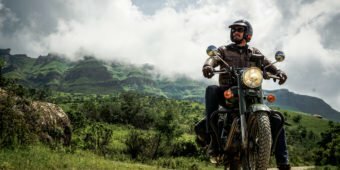 Choosing one of our motorcycle tours will stimulate all your senses on your journey… Get on your Royal Enfield and lose yourself to its vibrations and the purring of the engine. So many beautiful panoramas are in front of you! Let yourself be seduced by those new and exciting feelings. Do you prefer travelling to India, Asia or elsewhere? Our options have been created to suit your personal taste. We offer many kinds of itineraries, depending on your level and expectancies: motorbike tours on uneven roads or more peaceful rides… You can also travel alone or with a group of people, follow your instinct! All along your motorbike tours, our teams look after you. Our goal? To guarantee you as much security and comfort as possible. To do so, an English guide or an English speaker is always available. A breakdown? A mechanic comes out immediately. An assistance vehicle also transports your group’s luggage and carries any mechanical parts. That’s simple: you travel, we take charge of the rest! What are you waiting for? Schedule your trip on our departure calendar now.